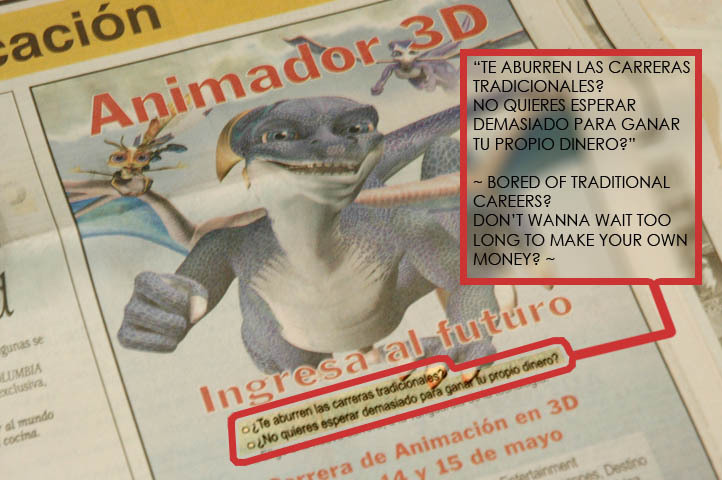 On the topic of my presentation, I wrote an article talking about animation in Peru, though I don’t think I sound like myself. I dunno why I read like a wishy-washy version of my snarky-self. Article is in Spanish, but if you can read… you can read it here. Years… well, maybe a year ago – I ranted Peruvian animation not being compelling enough. I have also ranted about how tired I feel of 3d animation (most of the times), but there are times when I have to talk about things because they are important to note. Machu Picchu Post is an animated short from Clement Crocq, Margaux Durand-Rival and Nicolas Novali. They are French, and did their whole Machu Picchu Post style reference from research. Research!!! Research is so important, and this is why I ultimately decided to blog them. I have always found Alpamayo (and most recently, the team in charge of the Dolphin story blah blah) to be lacking research, not storywise (though I beg to differ sometimes) but on execution. Of course, you don’t only research styles, textures, colors, etc… you also research movement, and light quality. It’s not enough to just HAVE the best computer equipment… you also go on field trips, you do experiments.